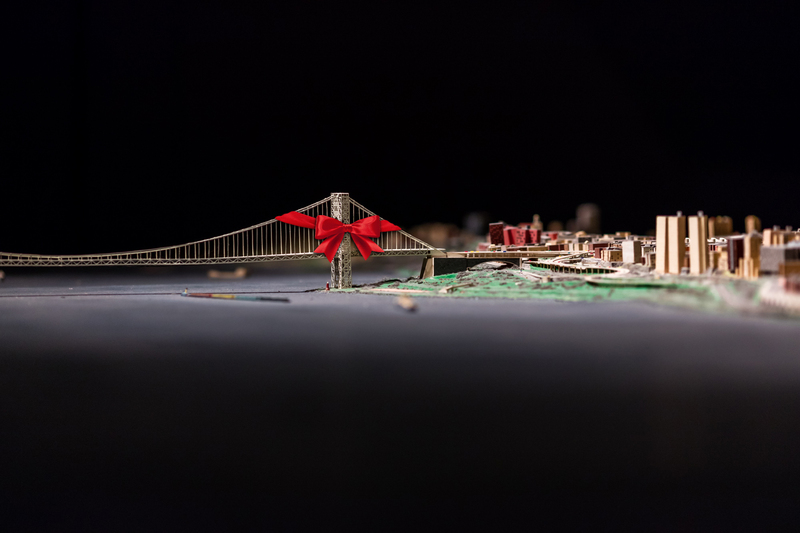 The Queens Museum’s Adopt-A-Building program gives visitors an opportunity to own a piece of the beloved jewel of its collection, The Panorama of the City of New York. Whether it is the location of your first date in Chelsea or your first apartment in Williamsburg, with the Adopt-A-Building program, you can commemorate a special moment in the city you love while also supporting gives you the chance of owning the maintainance of this piece of NYC history. Suggested donation levels range from $100 to “purchase” an apartment to $1,000 for a small commercial building, low-rise apartment building, or warehouse. Donors will receive a framed title deed and an acknowledgment on the Museum’s website. Your donation will support the ongoing care and maintenance of The Panorama of the City of New York. The last comprehensive update to the Panorama was in 1992. Since then, the museum has made several additions including Citi Field, Yankee Stadium Brooklyn Bridge Park, and Battery Park City among others in partnership with our corporate sponsors. We have been receiving interesting anecdotes from New Yorkers all over the country and the world, and we would love to hear your New York story in connection to your purchase! We may link your story on our social media and website. You can enter your story into the Adopt-a-Building form as you make your purchase. Click here to Adopt A Building today!